Have you noticed rooms in your home are either too hot or too cold compared to the thermostat setting? Or maybe your energy bill is excessively higher than it was at this time last year? Despite Missouri’s extreme temperature fluctuations, you deserve to be comfortable in your own home rather than questioning whether or not your HVAC system is functioning properly, and upgrading your thermostat is a good place to start. Thermostats these days are so sophisticated! 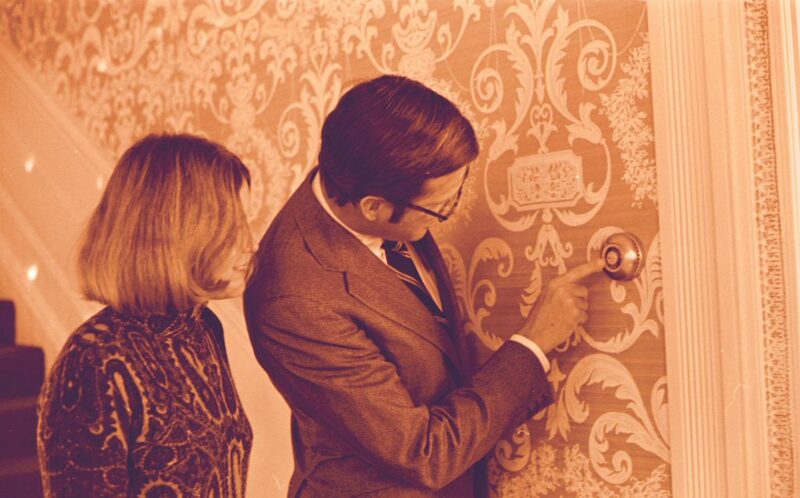 The vast majority of modern thermostats have moved to a digital interface. Many can be programmed to automatically change temperature settings at a specific time on a certain day of the week. In fact, some models even have Wi-Fi enabled to let you connect to them remotely from your mobile device! This is why it’s good to understand what your options are before commiting to a specific model. While analog thermostats are simple to install and easy to use, they also impact your energy bill by keeping costs high. EnergyStar reports almost half of the annual energy bill goes to heating and cooling in the average American household – up to $900 per year! Digital thermostats have digital displays on the front panel making settings easier to see – especially in the dark – and provide more precise temperature control. Many new digital thermostats now feature advanced technological settings, such as programming and Wi-Fi capabilities. A basic programmable thermostat allows you to program your temperature settings at different times. Typically you’ll find settings for home, asleep and away. Many homeowners opt to install a programmable thermostat if they are not home for long periods throughout the day, while others are attracted to the cost-savings. The Department of Energy suggests, “You can save as much as 10% a year on heating and cooling by simply turning your thermostat back 7°-10°F for 8 hours a day from its normal setting.” (Although we don’t imagine you want to add another item to your morning to-do list before leaving the house!) EnergyStar confirms you could save about $180* just by installing a programmable thermostat. Smart thermostats connect to your home’s Internet, typically via Wi-Fi, to give you access to your climate control settings outside of the thermostat itself. They also attempt to learn your comfort patterns and adjust HVAC settings for you to provide a new element of automation. First, we recommend replacing your analog thermostat with a digital thermostat. We understand some homeowners may be weary of making the switch to digital, however, there are many solutions available which are equally easy to use. Next, decide on what level of control, programming and automation you want in your home. If you’d prefer to keep the cost to upgrade a little lower, than a programmable thermostat may be the option for you. If you’re wanting to be able to control settings from your office before heading home however, then a smart thermostat would better suit your lifestyle. And, if you’re looking for a specific make and model, our technicians recommend several Honeywell thermostat models, including the PRO 3000, FocusPRO® 6000, and LineVoltPRO™ 8000. Replace your thermostat – stat! If you’re considering upgrading your thermostat, then contact our service team for a free consultation online or by calling us directly at 573-442-7312.